A hi-tech global automotive engineering group has signed up to a 15 year lease at IM Properties’ (IMP) new Connexion campus at Blythe Valley Park (BVP), to manufacture a new hybrid transmission system. Hofer powertrain products, set up by hofer powertrain in Leamington and a joint venture with German company, ElringKlinger, will establish their advanced engineering facility at the 47,000 sq ft hi-spec unit and employ up to 50 people. Creating products for premium UK sportscar brands, Neil Howlett, head of operations at hofer powertrain products UK said when they began researching potential locations, there were two main criteria, which absolutely had to be met. The site had to be within the West Midlands hot-spot for automotive engineering talent, to attract the best skills, and also had to be close to main road links to potential automotive OEMs, along the M40/42 corridor. “We looked at several schemes in the area, but Connexion is a campus with a premium look and feel, within its own landscaping, good security and infrastructure.” says Neil. “Recruiting and retaining top talent is a key priority to us. We were attracted to the human side of the business park and the value BVP put on people. Hofer power products is also looking to set up an apprenticeship scheme and hopes to work with local universities, to take undergraduates for placements and teach the practical side of the engineering business. “We hope to be able to give something back to the West Midlands talent pool,” added Neil. 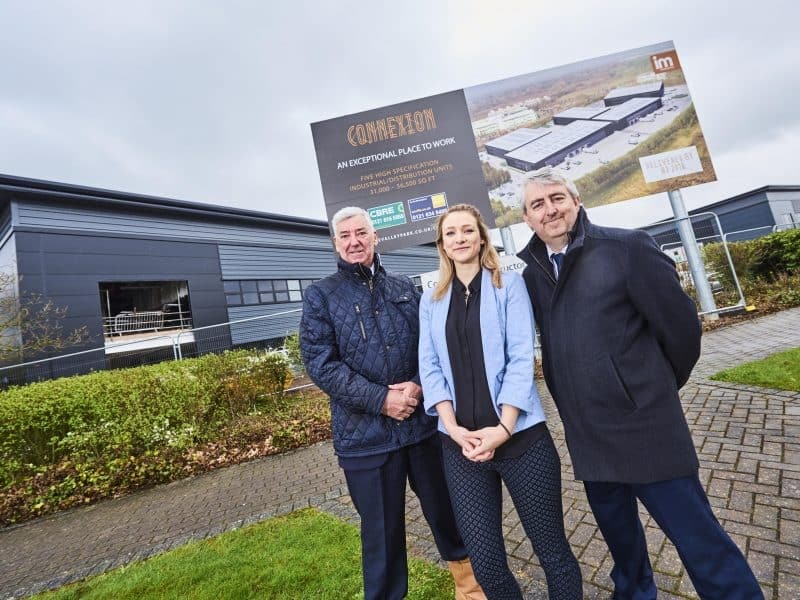 Rachael Clarke, development manager at IMP who has overseen the speculative development of the Connexion scheme said hofer powertrain products was exactly the target occupier they had been looking to attract and were delighted to sign them up. “The lack of availability in this prime location, quality of the business park and access to labour gave us the confidence to speculatively develop one of the only new-build multi-let industrial estates in the midlands, which is reflected in the rent of £7.75 per square foot we’ve achieved. “Whilst the BVP location is ideal for ‘last mile’ logistics, Connexion’s high quality design and setting also appeals to tech industries. BVP provides good access to the M6 and M40, close to Solihull town centre, Birmingham Airport, the international train station and the new HS2 hub. The units target an EPC rating of ‘A’ and have a very contemporary colour palette of black, anthracite and slate grey. CBRE and Savills act as joint agents on BVP. Andrew Cosnett from Bromwich Hardy acted for Hofer powertrain products.